In today's day and age many people are suffering from poor credit and because of that have received an unfavorable auto loan. Whether you're trying to lower the payments, interest rate, or both you can do so with an auto loan refinance, but should you use a home equity loan? Many people will argue this while many others believe it's a good idea. Below we will discuss both the pros and cons of using a home equity loan to refinance your car. The biggest pro to a lot of people is the fact that the interest charged on a home equity loan is tax deductible. This means that when it comes time to file you can claim the tax you pay on the loan and get some of that money back. Who doesn't want to get extra cash from the government? Another big reason someone would want to use a home equity loan is because the monthly payments tend to be more affordable. If you are teetering the line between keeping up on debt and falling behind a lower monthly car payment could really benefit you. A home equity loan is generally much longer than an auto loan, and therefore, the payments are stretched out making them cheaper. Many people will tell you that using a home equity loan comes with more cons than pros, and should be avoided at all costs. Their main reason is because while the payments may be more affordable with a longer loan term it doesn't make much sense to be paying for a car for 10 years or longer. Most cars these days won't last that long, and whether you sell it or it breaks down you will be paying for a car that you no longer are using. Also, even though the tax is deductible it may not be cheaper. Because the loan is often 30 years (a standard mortgage) the interest you are paying over that time period will far exceed the money you will receive back at tax time. If you had bad credit when you first obtained your current loan and the terms are poor you may be eligible for a refinance. 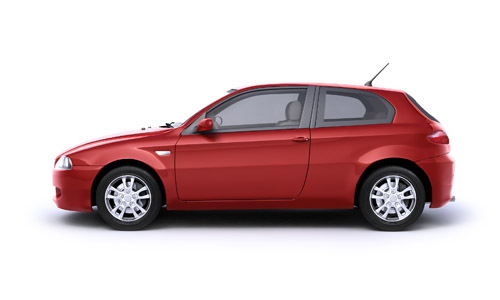 Here at SmallerCarPayments.com we can help you find a local auto refi lender that can help you into an affordable car payment. Our lenders are subprime lenders and have both the tools and experience needed to help you for a good credit or poor credit car refi.